Marie Simberg-Höglund’s unique work is internationally renowned and sought after by public and private collectors worldwide. SKU: 190-GRAAL-PG67. Categories: Earlier Works, Masterpieces, Painted Graal. 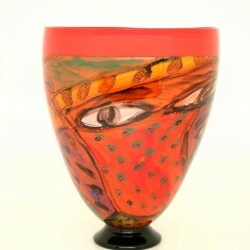 Art glass by Ola Höglund and Marie Simberg-Höglund is totally unique. In their Graal Collection, Ola and Marie combine the craftsmanship of their Swedish heritage with a Pacific flair, creating glass artwork that has earned them worldwide praise. Each Graal piece is a singular work of art, engraved with its individual title and code, numbered and signed by the artists, and accompanied by a certificate of authenticity. Any Graal piece from this fine collection is an investment that will appreciate in value over time – a true collector’s treasure. Marie Simberg-Höglund is considered one of the most inspirational, leading glass artists in her field. 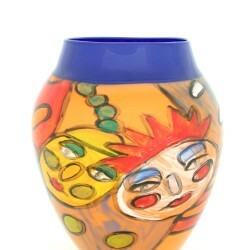 Her unique work is internationally renowned and sought after by public and private collectors worldwide. In Ola & Marie’s unique Painted Graal Collection the painted images are suspension within the separate layers of crystal clear glass. 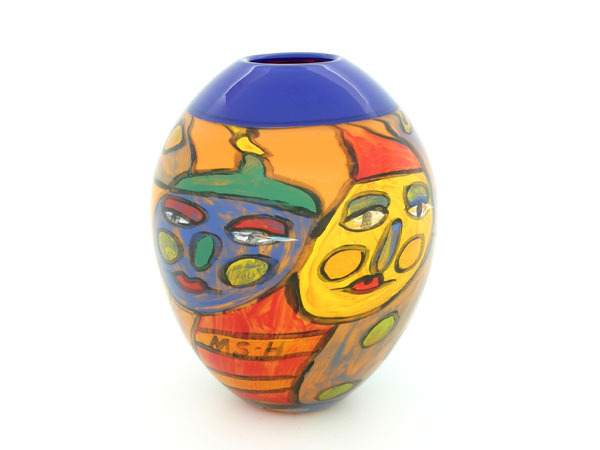 The stretching and enlargement of the original design, in a completed Graal piece may appear rather uncomplicated at first glance to an untrained eye. The process is long, complicated and risky. Each stage of the painting, heating and annealing cycle generates pressures and stress within the different layers of the coloured image and the crystal clear glass. Marie paints the image with crushed, coloured glass on a small bubble – often as small as an egg. Ola reheats the bubble, and it is re-attached to the blowpipe, before being overlaid with several more layers of crystal clear glass. He then blows the vessel into its final and enlarged size, stretching and expanding Marie’s painted image as he blows. Great skill and artistic sensitivity are required throughout this operation. A complex Graal piece may take several weeks to create. 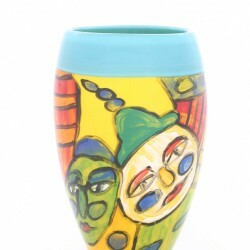 The beauty of the Graal technique is reflected in the decoration, it becomes a three-dimensional, exquisite piece of artwork.